“Most Hebrew schools eventually encounter the same problem,” says Fred Claar, a former Metropolitan New York (METNY) United Synagogue district board member. “That is, the problem of reaching the parents.” His latest project, Torah Topics for Today (TTT), could provide a practical solution to this concern. Featured on MyJewishLearning.com since March, 2010, TTT provides weekly Torah-portion-based blog posts designed to “empower parents of all levels of Jewish knowledge and commitment.” Each week’s entry includes a brief description of one theme or section of that week’s Torah portion, which is then connected to a relevant life lesson. The blog then concludes with a series of questions to ask children of all ages. The idea is to empower parents with a limited Jewish background in 30-seconds to have a discussion with their kids that is meaningful, practical, and fun. 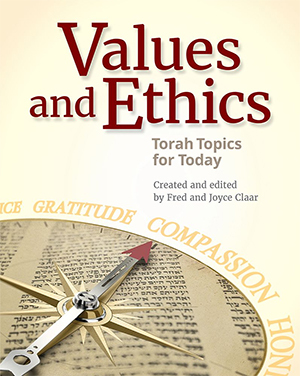 One of Claar’s main goals with TTT is “reaching busy people, giving them moral values that are relevant, and connecting it to Torah.” His own connection to Torah began in 1971, when he and his wife, Joyce, realized that they needed more family time. At that point, they decided to start observing some parts of Shabbat. Initially, their observance consisted of Friday night dinners with candle lighting, Kiddush, and Motzi. Claar soon realized that while it was a good start, it was not nearly enough. So he turned to storytelling. Claar began by telling Talmudic and Biblical stories, which inevitably turned into discussions about practical and moral values. His two kids loved it, and soon even neighbors’ children were stopping by to participate in the Claars’ Friday night family discussions. The realization dawned on him that his family’s model could be used by others. His Torah-infused discussions ultimately led to the creation of TTT. Claar soon hired Rabbi Dianne Cohler-Esses, a graduate of the Jewish Theological Seminary, as a writer. He also brought on his wife, Joyce, and his daughter in law, Lois Kohn-Claar, as editors. They’ve since launched their own website, Torahtopicstoday.com, where they’ve posted videos, resources, and their weekly blog. Fred Claar has spent the last four decades of his life immersed in Jewish texts for 1-2 hours every week. How far can one really get with only 30 seconds of Torah study each week? With Torah Topics for Today, Claar has made the answer clear: very far. Once upon a time, Jewish parents were their children’s main source of knowledge about Jewish text and tradition. Today, parents often feel ill-equipped to teach their children about Jewish subjects because of their own lack of Jewish knowledge. Although our Early Childhood and Religious School programs do a wonderful job of teaching our children Torah, parents still need to be an important part of their children’s Jewish education to ensure that what is taught in our schools has a lasting impact. A new online initiative called Torah Topics for Today (TTT) is working to empower parents to talk to their children about Torah in a knowledgeable, age-appropriate way. TTT is the brainchild of Fred Claar, a former METNY board member. Claar wanted to design a website that would “empower parents of all levels of Jewish knowledge and commitment.” TTT provides weekly blog posts written by Rabbi Diane Cohler-Esses, a JTS graduate and a prolific writer and teacher in the New York area. Each week’s post includes a brief description of one theme or section of the weekly Torah portion, which is then connected to a practical life lesson. The (200 word) post concludes with a series of conversation starters that parents can use to engage their children in a discussion of the parasha and its relevance to their own life experiences. In addition to the parasha-based blog posts, the site also features videos and other resources.